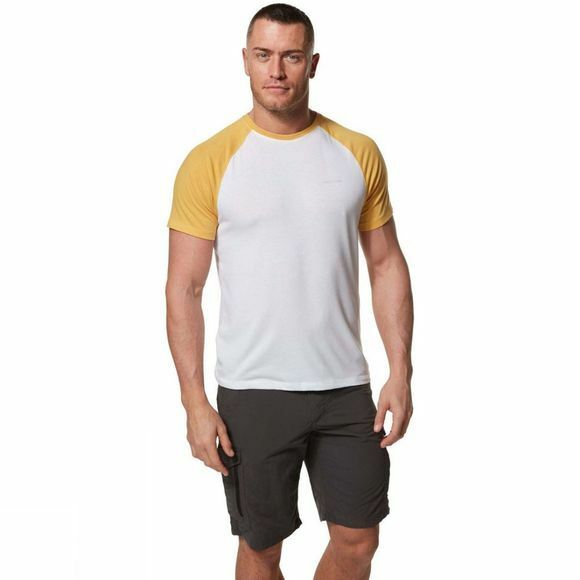 The Mens Nosilife Anello Short Sleeved T-Shirt from Craghoppers not only looks the part but provides enhanced performance and protection on the hot-climate trail. Anello’s sun and insect protective construction features cooling, anti-odour action, which helps you feel fresh throughout the day. 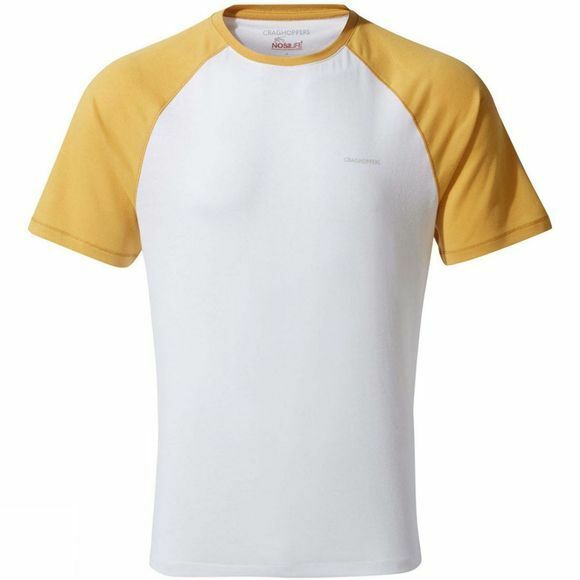 The top’s classic baseball styling incorporates raglan sleeves and a crew neck and is available in a selection of two-tone, plain and marled colour combos.